Underground Residential Distribution (URD) cables are commonly found in residential neighborhoods. However, the neat appearance of evenly spaced transformer boxes that hold these cables make most people rarely give thought to the tangle of cables that lurk below the surface. This is something that is the responsibility of utility providers who also need to think about the constant need for URD cable upgrades. These are necessary due to aging and can potentially result in electrical hazards. This article will take a look at the most effective methods for URD cable upgrades. One of the reasons URD cable upgrades become necessary is due to a process called ‘treeing’. This happens when moisture diffuses into the cable’s dielectric layer, diminishing its insulative properties. The name was derived because of the tree shaped structure that can be observed when the damaged cable is viewed microscopically. If the insulation wears down enough, the cable connecting the two transformers degrades and the lights in an entire neighborhood can go out. Although it may seem like an easy enough solution to simply replace cables that are wearing down, it is more complicated than one would think. The procedure is costly and results in logistical problems and power disruptions. Cable rejuvenation is a modern and more convenient option for URD cable upgrades. It was first developed in 1986 and has been gaining popularity ever since. In the process, the affected cables are left undisturbed and injected with compounds that restore their dielectric strength, making them as good as new. The process is efficient and reliable, resulting in a lower cost solution with less environmental disruption and consumer downtime. To thoroughly explain, the process involves the injection of a silane-based fluid into the strands of aging, medium voltage power cables. The cables are accessed through the transformers or other cable termination points where the fluid is injected. Two adjacent transformers are opened for this purpose and cables are de-energized. Then, specialty fittings are attached to the ends of the cable to allow fluid injection. It moves through the cable into the conductor shield and insulation. This modifies the chemistry and physics of the insulation making, it as good as new within as little as seven days. Techniques and the types of injections vary in the URD cable upgrade process, depending on the circumstances, environment and types of cable. Cable configurations, including the splices in the cable, can also be a factor. Technicians create splice evacuation pits measuring six feet square and four feet deep. These pits have less impact on landscaping than trenching and tunneling, which are typically used in this process. Isolate, test and ground the damaged cable. Use a time-domain reflectometer (TDR) device to check each segment for splices, neutral corrosion and overall length. If splices are present, the location are pinpointed with the radio frequency locator and measuring wheel. Then, a pit is dug to expose the splices and replace them with new connectors and injections adapters using templates to ensure proper injection adapter placement. Injection is performed at moderate pressure. A 300-foot segment takes 30 minutes or less to inject. Then all equipment is removed, and standard elbows are installed at the end of the cable. The rejuvenated segment of the cable is reenergized and its time to move on to the next segment. Use a TDR device to check the segments for splices, neutral corrosion and overall length. Perform air flow testing to confirm rejuvenation fluid will flow properly. Install new connectors and injection elbows. Connect a feed tank to the injection elbow at one end of the cable and a vacuum tank at the other. 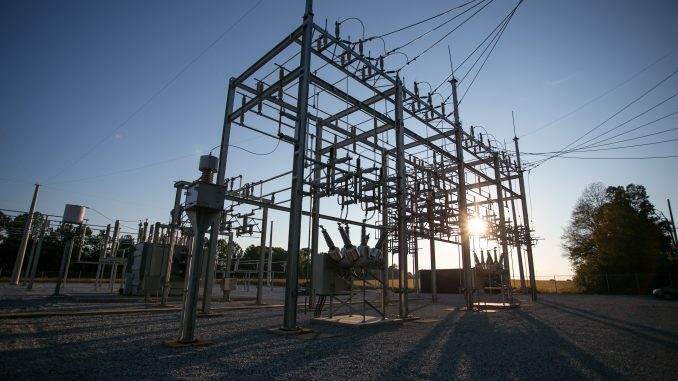 Re-energize the cable segment and begin the injection process once the transformer is closed. iUPR injection usually takes 24 hours or less to complete. Once done, the technicians recover all the equipment. Except for the initial installation of the injection components, the cable remains energized throughout the process. URD cable upgrades get numerous benefits through rejuvenation. One of these is its cost efficiency. On average, the rejuvenation program yields a 40% savings over methods where materials are replaced. This allows to repair miles of cable, as compared to what it would have cost to replace them. Cable rejuvenation also has a reduced ecological impact. No resources are consumed to produce new cable, no diesel fuel is spent for installation and no cables are abandoned in the ground. In fact, for every 10 mile run of cable rejuvenated, cable injection provides at least a 3,000 metric ton reduction in CO2 equivalent. Each meter of cable that is injected, rather than replaced, saves 195 g or aluminum, 484 grams of copper, 96 grams of plastic and 1.09 gallons of diesel fuel. Customers who are in need of UDR cable upgrades are less likely to experience power outages during the process of rejuvenation. Unlike replacement, rejuvenation does not require power disruption..
Cable rejuvenation is also highly successful. It is widely used all over the world and has resulted in a failure rate of less than 1 percent. If you work in the electrical industry or live in a property that is in need of UDR cable upgrades, it’s clear that rejuvenation is the wave of the future. It is an economical, efficient, environment-friendly way of upgrading these underground cables. It is terrific that so many strides are made in the electrical industry that will help save our valuable resources for future generations. Energy-Efficient Appliances: Why Do We Need Them?